Renitalynette Anderson is leaving FDIC to join QuTech, a technology solutions provider. 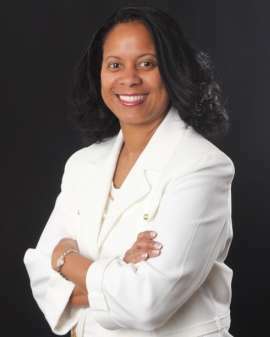 Renitalynette Anderson, the former deputy director of business administration at the Federal Deposit Insurance Corporation, accepted a new position as president at Quality Technology (QuTech), an IT solutions provider specializing in in cybersecurity, data center management, cloud computing, call center management, program management, and IT consulting with Federal, state, and local governments. “We are excited to have such an accomplished professional with proven leadership, executive-level experience, and business acumen to lead our company,” said Renee Parker, CEO of QuTech. Prior to joining QuTech, Anderson had a 30-year career in the private sector. She spent 19 of those years at the National Institutes of Health (NIH), eventually earning the title of Deputy Director at the Center for Information Technology (CIT), which allowed her to oversee the agency’s IT enterprise. In this position, she modernized many components of CIT’s IT holdings, including its network, data center, telecommunication services, call centers, and high-performance computing environment. Anderson received her bachelor’s degree from Norfolk State University and master’s degree from The Johns Hopkins University.